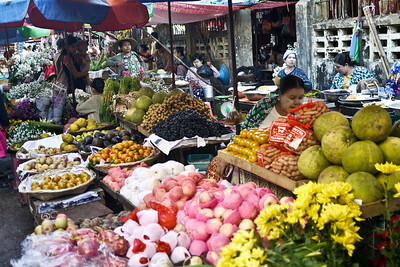 Early morning market stalls in Hpa-An, Burma. 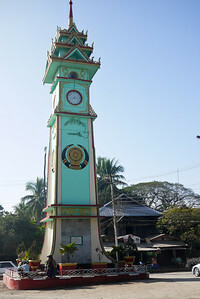 Clock tower in the town center in Hpa-An, Burma. 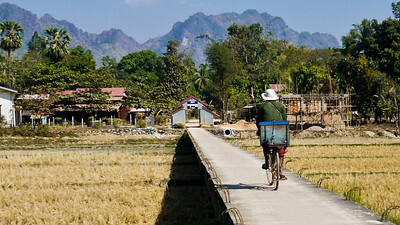 A women takes her lunch pail on her way to work, taking cover from the sun with an umbrella in Hpa-An, Burma. 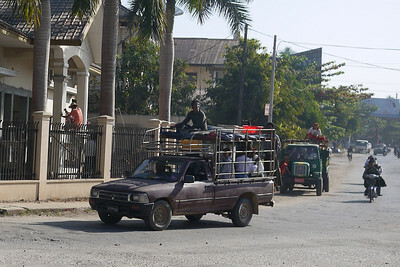 Traffic and cars in a round-about in Hpa-An, Burma. 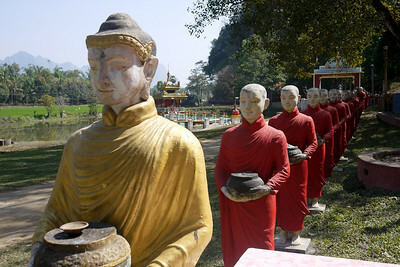 A pretty tray of condiments in Hpa-An, Burma. 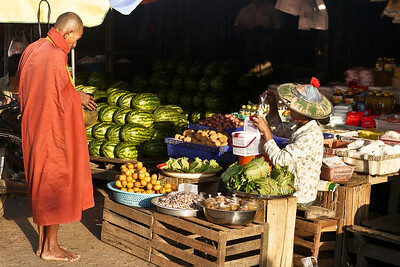 Vegetables from the countryside are brought into the market for sale in Hpa-An, Burma. 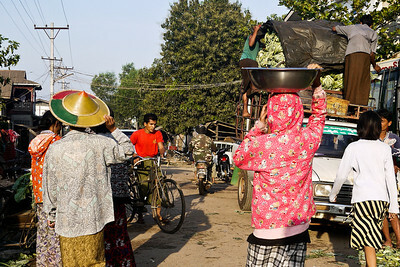 Morning shoppers and vendors take to the streets at the market in Hpa-An, Burma. 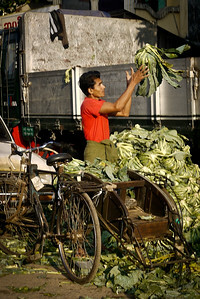 A trishaw driver fills his bike with lettuce cargo for transport in Hpa-An, Burma. 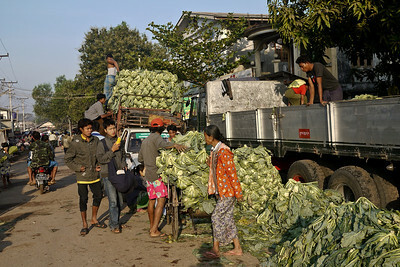 A truck is packed to the gills with veggies in Hpa-An, Burma. 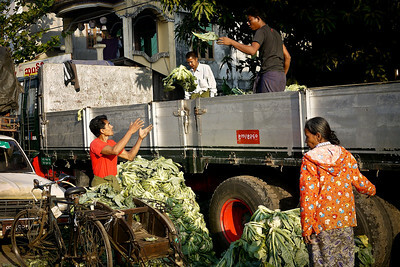 Vendors unload vegetables in Hpa-An, Burma. 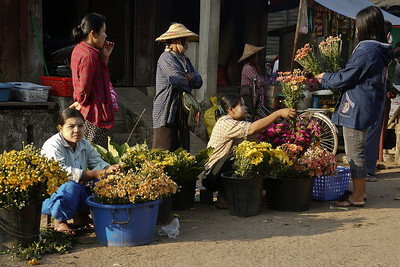 Flower vendors line the streets in Hpa-An, Burma. 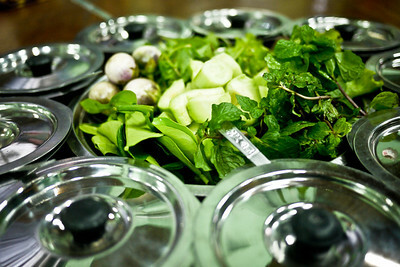 Our breakfast soup is prepared in Hpa-An, Burma. 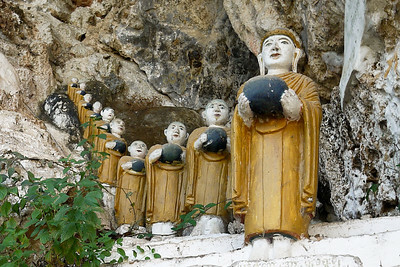 Buddhas line the caves and rocks in Hpa-An, Burma. 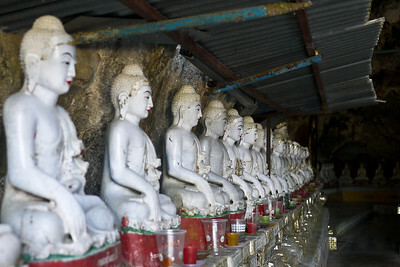 Buddha statues in the Kaw Ka Taung Cave near Hpa-An, Burma on a daytrip from the Soe Brothers guesthouse. 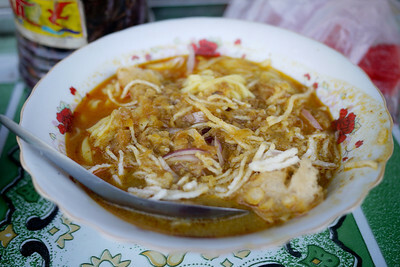 Delicious soup for breakfast near the Soe Brothers Guesthouse in Hpa-An, Burma. Buddha face, one of many lining the Kaw Ka Taung Cave in Hpa-An, Burma. 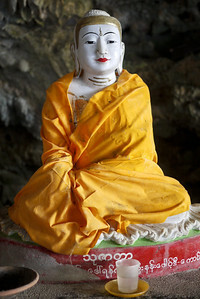 Buddha wrapped in saffron cloth in the Kaw Ka Taung Cave near Hpa-An, Burma. 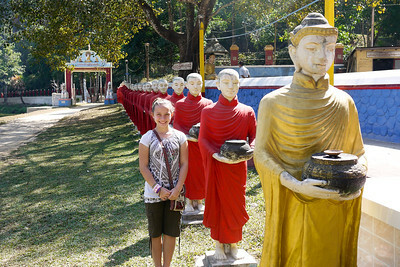 My niece Ana stands with the monks and rice alms bowls in the countryside near Hpa-An, Burma. 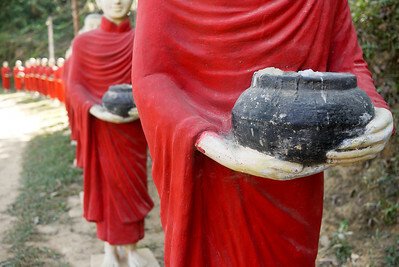 Statues of monks and their alms bowls near in Hpa-An, Burma outside of the Kaw Ka Taung Cave. 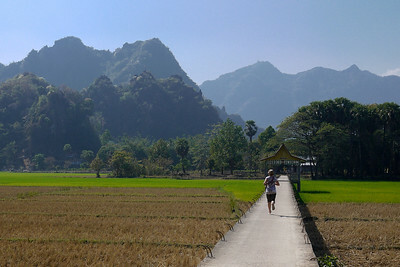 Rice paddies and karst rocks in the countryside near Hpa-An, Burma. 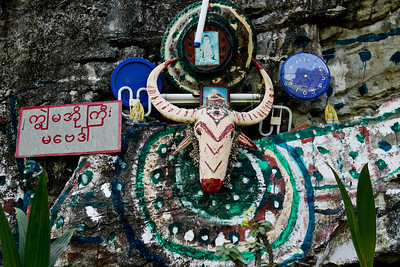 Animist worship in Hpa-an, Myanmar. 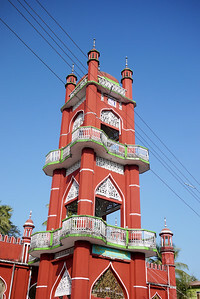 in Hpa-An, Burma. 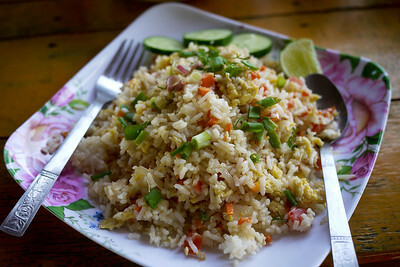 Vegetable fried rice was the easiest thing to order near the Ruby and Kawkathaung caves near Hpa-An, Burma. 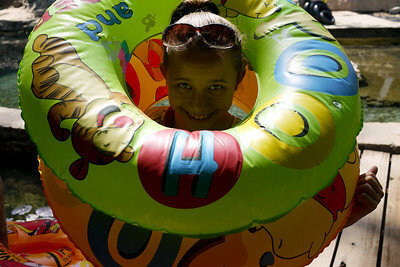 Fun for kids at the swimming hole near the Kawkathaung cave outside of Hpa-An, Burma. 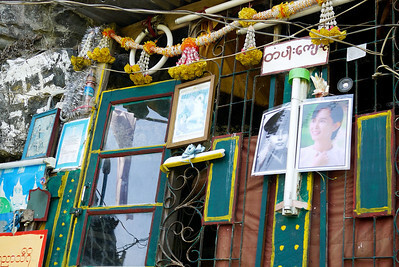 Ana plays with the floaties near the Kawkathaung cave outside of Hpa-An, Burma. 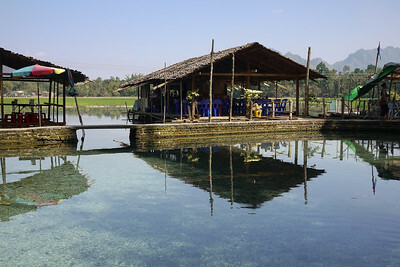 The glassy clear waters of the swimming hole just near Kawkathaung Cave and Ruby Cave in Hpa-An, Burma. 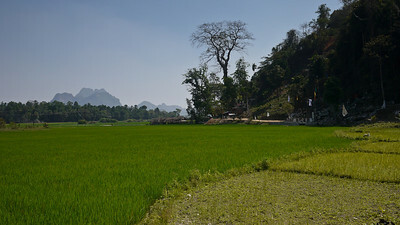 Cooling off in the clear waters diverted from the nearby rice paddies in Hpa-An, Burma. 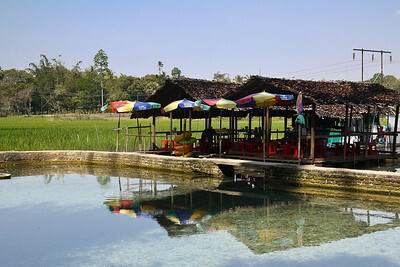 Small restaurants dot the swimming hole near the Kawkathaung and Ruby Cave s in the countryside near Hpa-An, Burma. University girls giggle and wave from across the small swimming hole near Hpa-An, Burma. 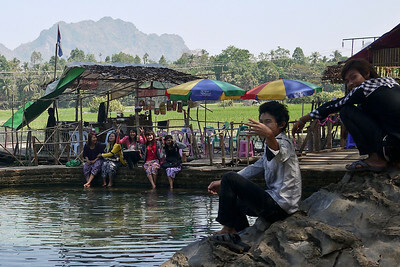 Local teenagers at the swimming hole near Hpa-An, Burma. 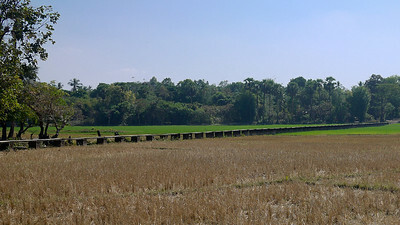 A bridge through the dried out rice paddy in Hpa-An, Burma. 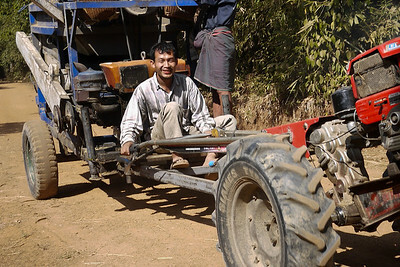 Interesting transportation in the countryside around Hpa-An, Burma. 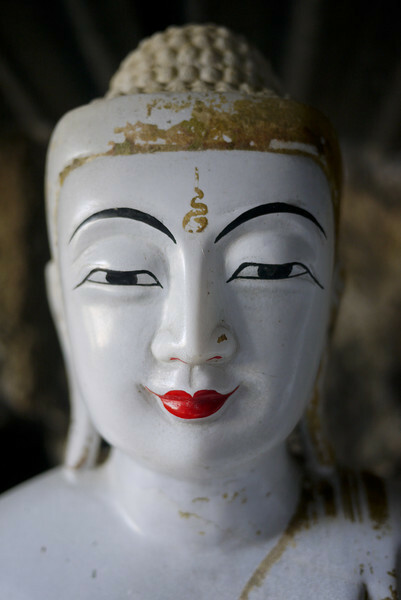 Big smiles near Hpa-An, Burma. 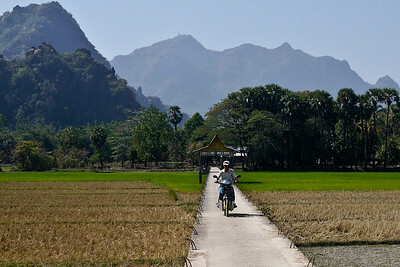 Karst rocks and a rural bridge through the rice paddies outside of Hpa-An, Burma. 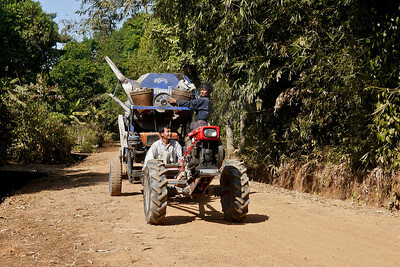 Rural life outside Hpa-An, Burma. 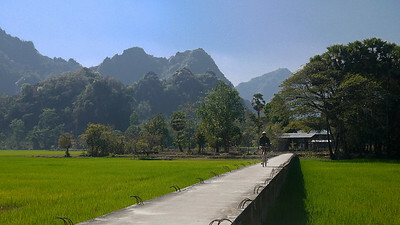 Betel nut spit on the ground in Hpa-An, Burma. 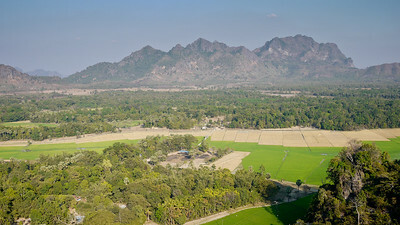 View from the top of a small karst rock formation near the Kawkathaung and Ruby Caves outside of Hpa-An, Burma. 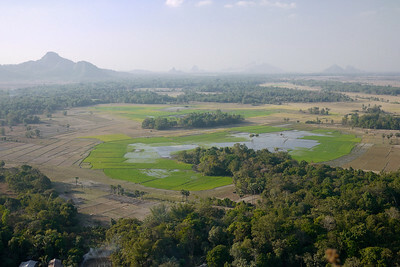 Arial view of the countryside around Hpa-An, Burma. 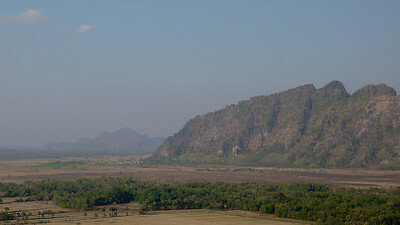 Looking toward Mount Zwegabin near Hpa-An, Burma.